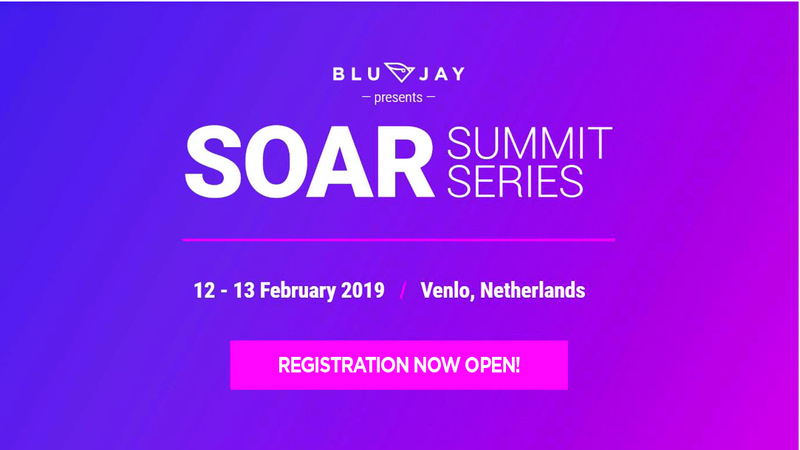 BluJay invites you to join us for SOAR Summit Europe 2019 in Venlo, Netherlands, 12-13 February. BluJay is excited to invite you back to our SOAR Summit in Europe for an enhanced BluJay customer experience. partnership with BluJay. 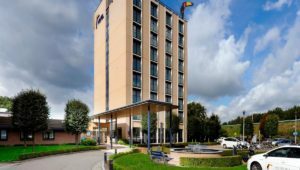 SOAR Summit 2019 will take place 12-13 February at the Van der Valk Hotel Venlo, Netherlands. Equipped with several multi-functional business-quality meeting rooms and spacious accommodations, Hotel Venlo offers a modern venue for the improved agenda and conference format for SOAR Summit 2019. This must-attend event of the year for the BluJay community offers an opportunity to connect with fellow BluJay customers, partners, industry experts, and the BluJay team closer to home. Enjoy a day-and-a-half of learning how to optimise your supply chain with in-depth insights into globalisation, seamless touch points between government and industry, and the competitive advantage in order fulfillment and customer service. All while networking and relationship-building with industry leaders, peers, and BluJay product experts. SOAR Summit 2019 is sure to provide value and inspire you, and we can’t wait to see you in Venlo!